It can sometimes feel as though money just drips through our fingers when we don’t rein in our spending. 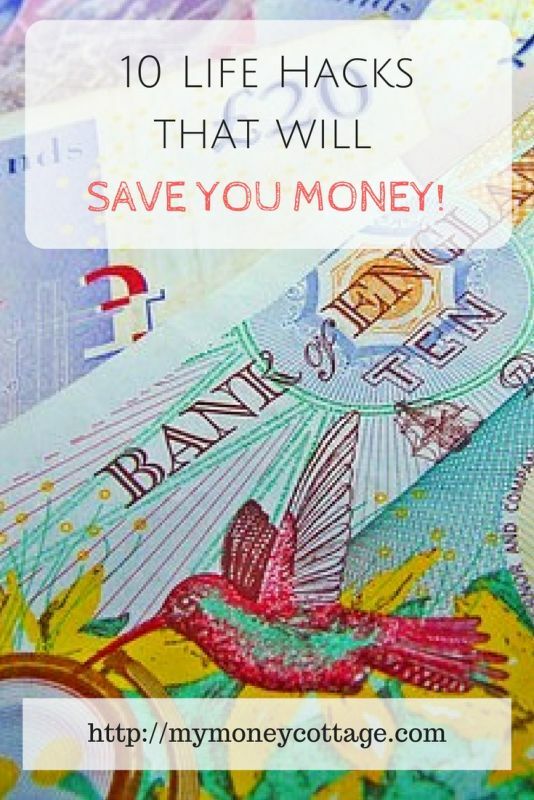 I’ve put together 10 money saving life hacks that I hope will help you to save money and take back control of your finances. Clear your outstanding credit card debt. This may seem obvious but you need to be savvy in how you go about it if you have more than one credit card with an outstanding balance. Pay off the most expensive debt first. This may not necessarily be the card with the biggest amount remaining outstanding. If, for example, you owe £1,000 on a card charging 17% annual interest and another £1,000 on one charging 32% annual interest, pay off the card charging 32% interest first. Switch Gas & Electricity Suppliers. Check whether you could save money on your gas & electricity supplies by switching. Use one of the switching websites to see which supplier and which tariff works out cheapest for you. It’s also worth bearing in mind that you could save around £75/year just by paying by direct debit! Budgeting is absolutely vital if you want to really take control of your finances. I’ve written about budgeting here https://mymoneycottage.com/you-need-a-budget/ where you can also find a link to my handy monthly budget planner. This is one thing that has made a huuuuuge difference to our monthly spending. Plan your meals before you go shopping, write out the items you’ll need for each meal. Make sure you include breakfast, snacks, drinks, toiletries etc. Check the cupboards and the fridge to see what you actually need. This will help to prevent you over-buying stuff you don’t need. I’d also recommend leaving the children at home but that’s not always possible! I know mine have a tendency to beg and plead for sweets, toys and general crap! If you currently buy the top brands, try switching down to the supermarket’s own brand. Already buy own-brand? Try the smart-price/no frills alternative. I know you probably won’t want to do this with every item, I’m particular about certain things too! However things like biscuits and tinned products are notoriously lower priced versions of the same item. This could save you mega-bucks over the course of a year. Insurance – shop around at renewal time. Many insurances come with an automatic renewal clause. That means that if you don’t tell your insurer, they’ll automatically renew your insurance for another year. More often than not, you get put on a higher tariff than you did when you were a new customer. It’s a pretty unfair system! Use comparison sites to shop around and your 99% guaranteed to find the same insurance cheaper elsewhere. Make sure you then contact your existing insurer before the renewal date to cancel the renewal. They should contact you in plenty of time with a quote so take that as your prompt to shop around. It can often feel as though money just slips through our fingers. No sooner do we get paid than we’re scrabbling around trying desperately to make it to the end of the month. Try keeping a spending diary for at least a month. Write down every single thing you spend money on. This will make you think about each purchase as well as helping you to track where you waste that valuable cash. If you spend £1.50 on a coffee every day, consider taking a flask every other day, that’s almost £300 saved over a year! If you can, start putting money away in case of emergency. This can be as much or as little as you like. Many people aim to have £1,000 saved in case something big breaks down. Consider how you’d pay for a new washing machine or fridge if yours packed up tomorrow. If you’d pay on credit card or take a loan out then you’re more than likely throwing money away on interest. Having the funds available for such emergencies means you’re a savvy saver! Seen the latest gadget that you really must have? If you’re anything like my husband then there’s always something new (and expensive) that you really MUST HAVE! Try taking some time to really think about whether you need that item. Give yourself 30 days. 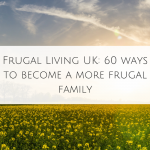 If at the end of the 30 days you still NEED it (and have got the money saved) then go for it! Nine times out of ten you’ll decide you’re actually glad the money is still stashed away safely, untouched. We have a garage absolutely full of stuff. I think anyone with kids will find that they have a lot of stuff they could (and probably should) get rid of. Make some money from your outgrown toys and clothes. You can sell without charge now on places like Facebook. Simply take a photo of your item and list it on local For Sale or Swap groups. I will often have a look on eBay at similar items to see what they’re selling for so I don’t overprice.